If you are a US resident living in one of the five states under the jurisdiction of Boston, you are eligible to apply for a Schengen visa at one of the embassies/consulates or visa centers of the Schengen countries located in Boston. Despite of the fact that US passport holders are eligible to enter Europe without the need of obtaining a visa first, other foreigners living in any of the states need to go through a whole process of a Schengen visa application, in order for them to be able to obtain the permit that grants them with the right to enter Europe. 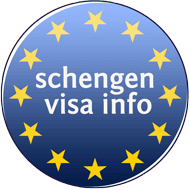 US nationals, who have been refused visas-free entry into Europe, are also obliged to obtain a visa to enter any of the Schengen countries. How to Apply for a Schengen Visa in Boston? Find out which of the Schengen visa types you need, in order to be permitted to enter Europe. Collect the required documents for US residents applying for a Schengen Visa. Get an appointment at the consulate of the designated EU country in Boston. Pay the Schengen visa fee. Attend the visa interview at the consulate of the designated Schengen country in Boston. Where to Apply for a Schengen Visa in Boston? If you are living in Boston, and you have to apply for a Schengen visa to visit one of the European countries, you shall apply at the respective consulate of the country you wish to visit. Depending on your purpose and/or length of visit – there are specifications that further clarify at which Embassy or Consulate in Boston you should apply. If visiting one Schengen country – you must apply at the consulate representing the particular country of your destination. If visiting more than one Schengen country – you must apply at the consulate representing the country of your main destination (the country of longest stay). If visiting more than one Schengen country with equal stay duration – you must apply at the consulate representing the Schengen country you will enter first. If you intend to stay in the Schengen area for over 90 days you must apply for a residence permit, not a Schengen visa. Instructions are on the respective embassy/consulate’s homepage. The Austrian Consulate in Boston does not offer visa services; therefore, you cannot file your visa application there. Instead, you will have to apply for a Schengen visa at the Austrian Consulate General in New York. The Belgian Consulate in Boston does not offer visa services; therefore, you cannot file your visa application there. Instead, you will have to apply for a Schengen visa at the Consulate General of Belgium in New York. The Czech Consulate in Boston does not offer visa services; therefore, you cannot file your visa application there. Instead, you will have to apply for a Schengen visa at the Consulate General of the Czech Republic in New York. The Danish Consulate in Boston does not offer visa services; therefore, you cannot file your visa application there. The Danish embassy has outsourced visa submission to VFS Global, what means you will have to submit your Schengen visa application at one of the VFS centers in US. The Estonian Consulate in Boston does not offer visa services; therefore, you cannot file your visa application there. Instead, you will have to apply for a Schengen visa at the Consulate General of the Republic of Estonia in New York. The Finnish Consulate in Boston does not offer visa services; therefore, you cannot file your visa application there. The Finnish embassy has outsourced visa submission to VFS Global, what means you will have to submit your Schengen visa application at one of the VFS centers in US. Visa applications must be submitted in person and by appointment only between 9:00 am and 3:00 pm Monday – Friday except declared holidays. Please note when contacting the Visa Application Center via email please do not leave the subject line and body of your message empty, which may result in delays in response. Passport collection: between 4:00 pm and 5:00 pm from Monday to Friday except declared holidays. You can apply for a French Visa at the VFS Global Center in Boston if you are a resident of any of the states under the jurisdiction of Boston*. Please note that you will have to make a French visa appointment at VFS global in Boston in order to file an application. Applications can be filed from Monday to Friday, starting at 9am to 4pm. * France has outsourced all visa services in the US, to VFS Global. You can apply for a German Visa at the German Consulate in Boston if you are a resident of any of the states under the jurisdiction of Boston. Please note that the Germany consulate in Boston don’t allow walk-in. You have to make a German visa appointment online via this link. in order to be able to apply for a visa at General Consulate of Germany in Boston. You can apply for a Schengen Visa at the Greek Consulate in Boston if you are a resident of any of the states under the jurisdiction of Boston. Please note that you will have to make an appointment at the Greek consulate in Boston in order to file an application. The Hungarian Consulate in Boston does not offer visa services; therefore, you cannot file your visa application there. Instead, you will have to apply for a Schengen visa at the Consulate General of Hungary in New York. You can apply for a Schengen Visa at the Italian Consulate in Boston if you are a resident of any of the states under the jurisdiction of Boston. Please note that you will have to make an appointment at the Italian consulate in Boston in order to file an application. There is no Lithuanian consulate in Boston. Instead, visa applicants residing in Connecticut, Massachusetts, New Hampshire, Rhode Island and Vermont can file their applications Consulate General of the Republic of Lithuania in New York. You can apply for a Schengen Visa at the Luxembourgian Consulate in Boston if you are a resident of any of the states under the jurisdiction of Boston. Please note that you will have to make an appointment at the Luxembourgian consulate in Boston in order to file an application. If you wish to obtain a visa to Malta, you will have to apply at either the Embassy of Malta in Washington DC or the Permanent Mission of Malta in New York. You will have to apply for a Schengen visa at VFS global in Chicago, Houston, Miami, New York, San Francisco or Washington, D.C, to which Netherlands has outsourced visa submission. The Consulate in Boston does not offer visa services; therefore, you will have to file your Schengen Visa application at VFS Norway Visa Application Centers in New York, instead. The Polish Consulate in Boston does not offer visa services; therefore, you will have to file your Schengen Visa application at the Consulate General of the Republic of Poland in New York, instead. You can apply for a Schengen Visa at the Portuguese Consulate in Boston if you are a resident of any of the states under the jurisdiction of Boston. Please note that you will have to make an appointment at Portuguese consulate in Boston in order to file an application. The Slovak Consulate in Boston does not offer visa services; therefore, you will have to file your Schengen Visa application at the Consulate General of the Slovak Republic in New York, instead. There is no Slovenian consulate in Boston. Instead, visa applicants can file their applications at the Consulate General in Cleveland, New York or the Embassy in Washington DC. You can apply for a Spanish Visa at the Spanish Consulate in Boston if you are a resident of any of the states under the jurisdiction of Boston. Please note that you will have to make a Spanish visa appointment at Spanish consulate in Boston in order to file an application. Applications can be filed Monday to Friday, from 9am to 13pm. The Swiss Consulate in Boston does not offer visa services; therefore, you will have to file your Schengen Visa application at the Swiss Consulate General in New York, instead. There is no Liechtensteiner consulate in Boston. Instead, visa applicants can file their applications at Consulate General in New York or Chicago or the Embassy in Washington DC.